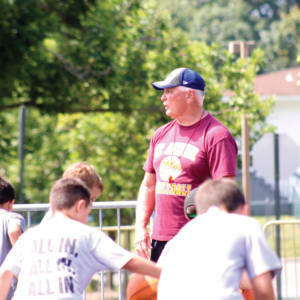 Under the direction of Basketball Hall of Fame Coach Bob Hurley, campers will touch on all facets of the game such as dribbling, passing, shooting, ball handling, offense and defense. Campers are grouped by age and ability and will be divided into specific teams for daily instructional games. Guest lecturers will also be scheduled. All campers will receive written evaluations at the end of the week. Americas Premier High School Basketball Coach, Member of the National Basketball Hall of Fame, 40 years Head Coach at St. Anthony’s High School, over 1,000 career victories including 24 state championships.